This evocative account of the life of the Renaissance’s greatest figure traces Leonardo’s early development as an artist and court figure to his final years in exile, portraying his loves and sufferings, as well as his intellectual curiosity and tireless loyalty to his ideals. 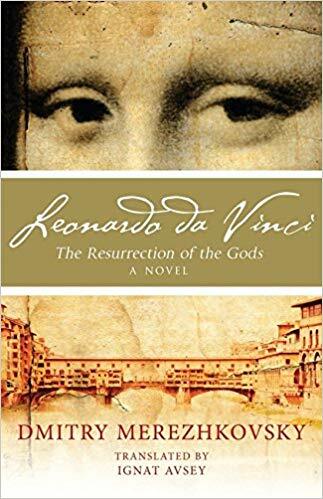 But it is the background to his famous painting La Gioconda and his relationship with the mysterious Florentine woman who modelled for it that are at the heart of the novel – here presented for the first time in an unabridged translation. The result is an engrossing and unforgettable read. An unjustly forgotten masterpiece of Russian literature that inspired one of Freud’s most important essays, Leonardo da Vinci also offers an illuminating snapshot of the society of the period – beset with intrigue and religious and social tension – and a host of memorable historical figures such as Michelangelo, Raphael, Machiavelli, Savonarola and the infamous Borgias.